throughout the human life cycle. "The quality of life is best defined by the quality of our relationships to God, others, and self." 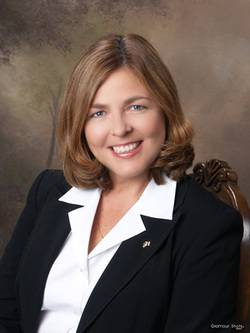 Mary Ann Van Buskirk, M.A., M. Div. is a Licensed Professional Counselor in Colorado, a licensed marriage and family therapist in South Dakota, and a Fellow in the American Association of Pastoral Counselors with a private practice. She has been a counselor, trainer, and clinical supervisor for over 25 years. In addition to her extensive experience in business, family, and with life, she also writes, lectures, and conducts numerous workshops and retreats. Integrating Catholic theology, spirituality, and psychotherapy since 1986. Licensed Professional Counselor in Colorado since 1991. Licensed Marriage & Family Therapist in South Dakota since 1996. Fellow, American Association of Pastoral Counselors since1990 (http://aapc.org/). Clinical Member, American Association of Marriage & Family Therapists (http://www.aamft.org/iMIS15/AAMFT/). Marriage Fitness Coach - www.marriagemax.com, www.MortFertel.com. Certified Sports, National Institute of Sport Coaches (http://www.nisportcoach.com/moodle/). Sports Instructor, Positive Sport Coaching (www.positivesportcoaching.org). Member, American Association of Christian Counselors. Former Director of Marriage & Family Life, Archdiocese of Denver. Speaker, workshop facilitator, and instructor on a variety of subjects. Married over 35+ years, mother of three daughters and grandmother.